The One Day Formula Racing School is the perfect program for the person new to racing. This day long experience allows the driver to experience our race prepared Van Diemen Formula E school cars on the race track. This school begins with an in-depth classroom session going over the racing line and vehicle dynamics. The program rapidly picks up the pace as you experience the thrill these high horsepower, high grip race cars with lead follow laps on the race track! This is the ideal program for helping the motorsport enthusiast. Once you try the One Day Racing School, you are sure to want to come back for more. After the One Day Racing School, the Three Day Racing School is the perfect next step! 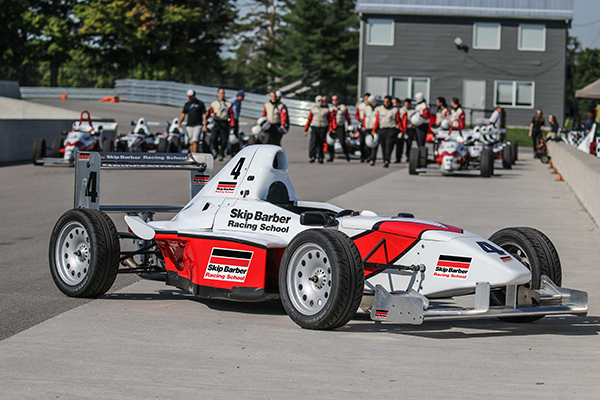 Formula Car Programs are offered on the Driver Development Track at Canadian Tire Motorsports Park.